Around the beginning of the common era, Indian Buddhists began to collect fables, or jataka tales, illuminating various human virtues and foibles—from kindness, cooperation, loyalty and self-discipline on the one hand to greed, pride, foolishness, and treachery on the other. Instead of populating these stories with people, they cast the animals of their immediate environment in the leading roles—which may have given the tales a universal appeal that helped them travel around the world, surfacing in the Middle East as Aesop's fables and in various other guises throughout East and Southeast Asia, Africa, Russia, and Europe. 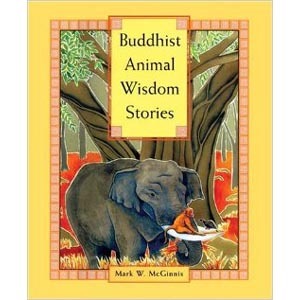 Author and painter Mark McGinnis has collected over 40 of these hallowed popular tales and retold them in vividly poetic yet accessible language, their original Buddhist messages firmly intact. 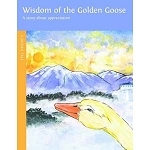 Each story is accompanied with a beautifully rendered full-color painting, making this an equally attractive book for children and adults, whether Buddhist or not, who love fine stories about their fellow wise (and foolish) creatures. 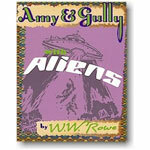 Hardcover, 2011 edition, 111 pages.